This booklet gives you the explanation on Darkness Technology, Consciousness and the Neuro-Endocrine System (Autonomic Functions, Waking Consciousness, Sleep and Dream, Descent into Darkness, Falling from Grace, Reawakening-Spirit Molecules, Chemistry of Consciousness, Stages of Darkness Technology, Preparation for the Darkness Retreat and Summary. There are 54 pages with over 28 color illustrations and images. 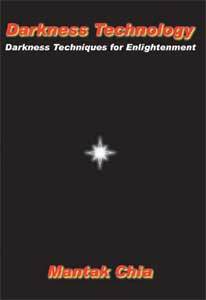 All spiritual traditions have used Darkness Techniques in the pursuit of enlightenment. In Europe, the dark room often appeared in underground form as a network of tunnels, in Egypt as the Pyramids, in Rome as the catacombs, and by the Essenes, near the Dead Sea in Israel, as caves. In the Taoist tradition caves have been used throughout the ages for higher level practices. Darkness Technology gives our mind and soul the freedom to wander in the vast realms of psychic and spiritual experience. When you enter this primordial state or force you are reunited with the true self and divinity within. You literally 'conduct' the universal energy. With the information in this booklet you may see into the past and future, understand the true meaning of existence, and begin to understand the order of all things. You return to the womb, the cocoon of our material structure and our original Dark Room.